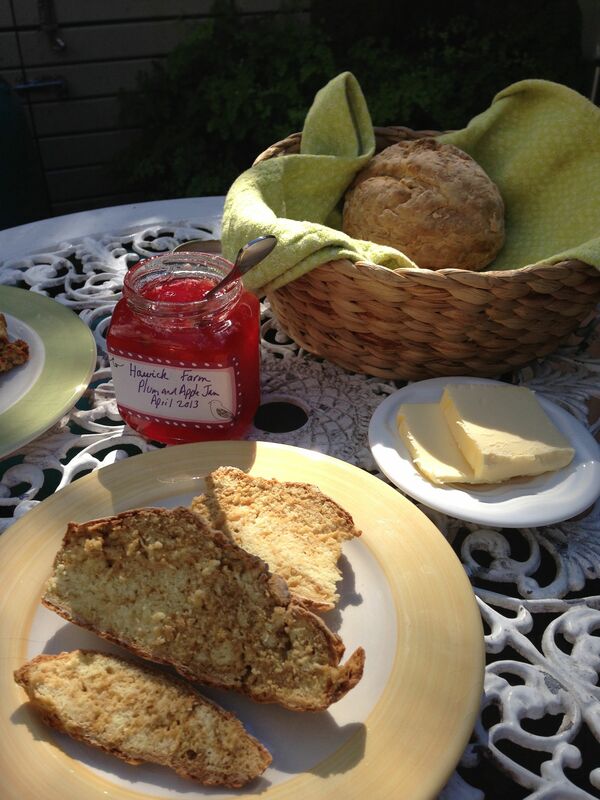 I love the idea of bread that can me made from scratch in under an hour! No yeast, no rising, and a delicious nutty, malty flavour. 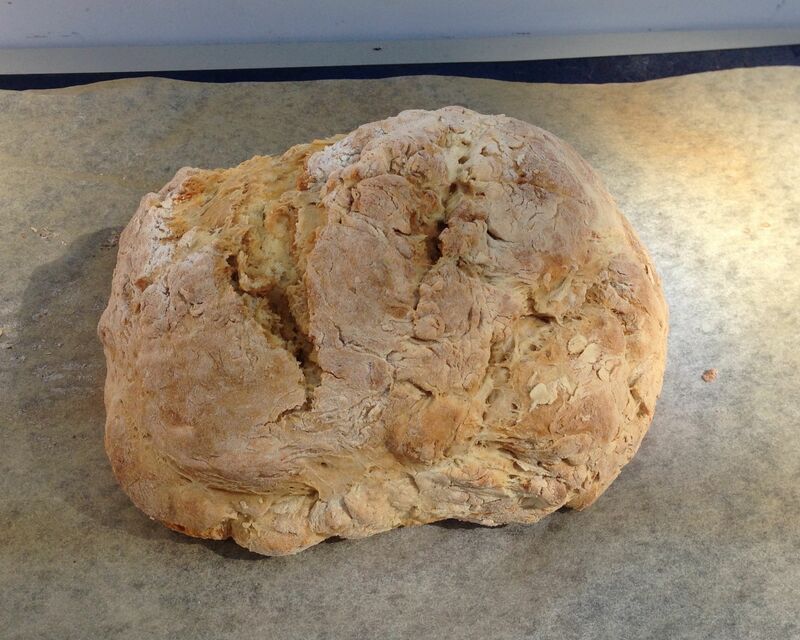 I researched Irish soda bread online, and discovered that the only essential ingredients are flour, bi-carbonate of soda, buttermilk and salt. In my recipe I have added a tablespoon of black treacle, to give a little sweetness and that malty flavour. Quite by accident I neglected to add the treacle to the buttermilk before adding to the dry ingredients, so I mixed it into the dough after the addition of the buttermilk. 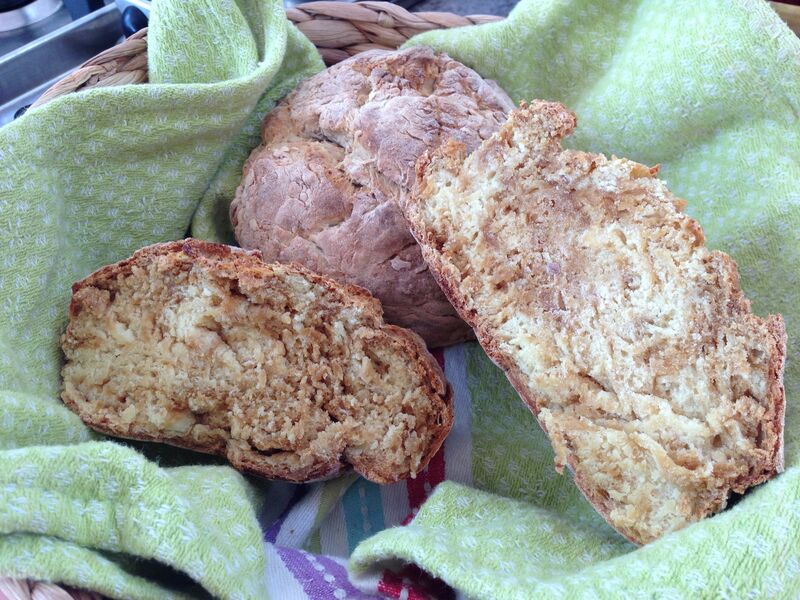 This gave a lovely streaked effect to the baked bread! Place flour, salt and bicarbonate of soda into a large mixing bowl and stir. Stir in treacle, and mix well, then turn onto a lightly floured surface and knead briefly. Form into a round then place on a baking sheet lined with baking paper. 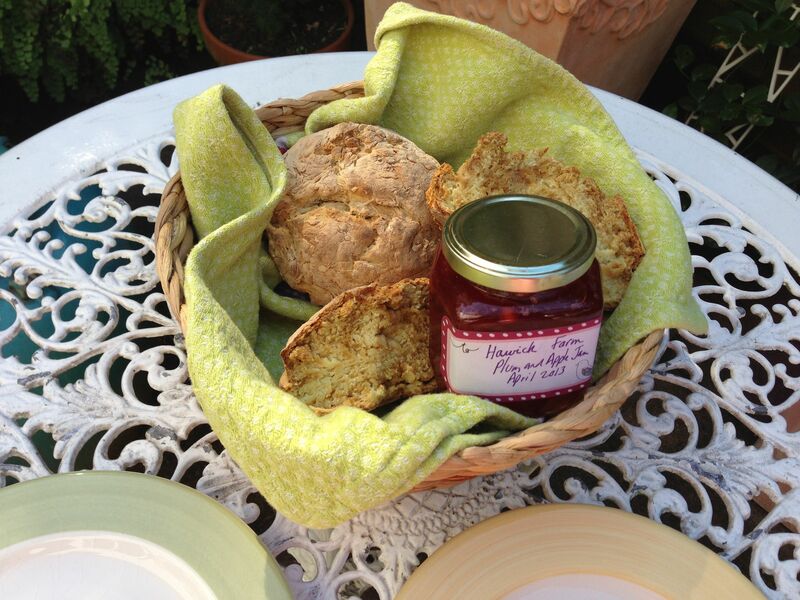 Serve with lashings of butter, jam or golden syrup! Posted in Bread, Savoury Food and tagged bi-carbonate of soda, buttermilk, golden syrup, jam, Soda bread, treacle. Bookmark the permalink.